As a graduate-level intern at McDonald’s, I worked with the Customer Experience Design group on improving the user experience at the drive thru, particularly as it relates to communicating with the order taker. 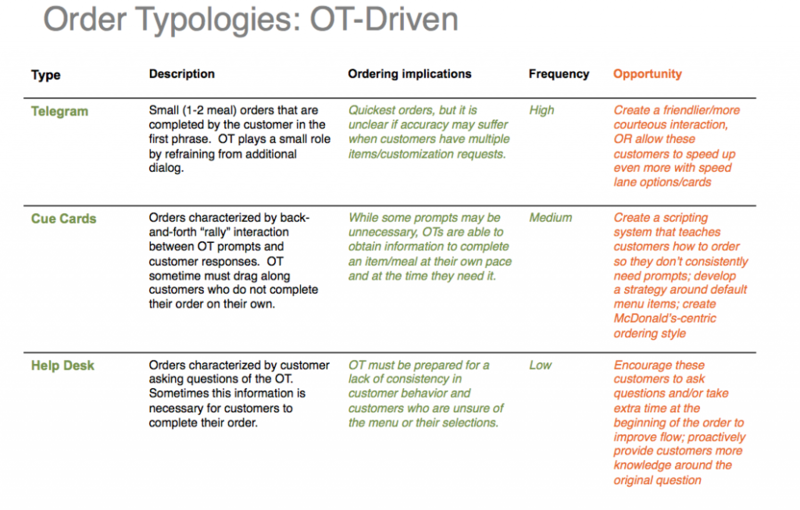 Past research generated the hypothesis that “logical order scripts,” training customers to the proper way to place an order, may reduce stress and inaccuracies at the order point. 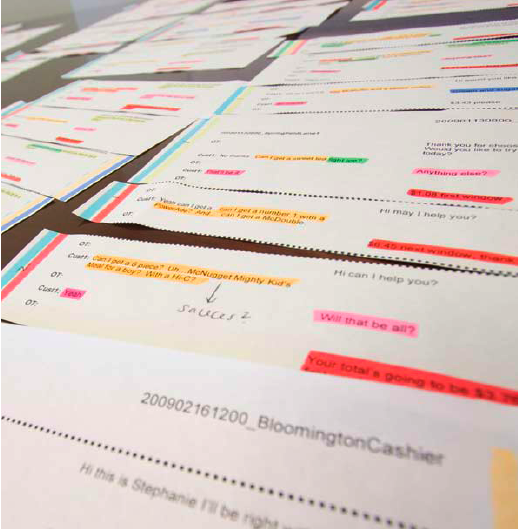 In order to understand what leads to a breakdown in communication, I spent time observing order takers and customer communication at McDonald’s restaurants, as well as listening to and analyzing hundreds of previously taped orders. Analysis from research led to the creation of “order typologies,” or patterns in behavior, that helped inform concept development. Research participants were prompted to give especially complicated orders to test if order takers were able to use scripts to improve communication.